It has been a big season for tactical evolution of Liverpool under Jurgen Klopp. With just six games remaining his side sit only one point behind defending champions Manchester City. They have come a long way since the domestic inconsistencies of last season, where they finished fourth and twenty-five points of top spot. A glance at the table with just six games remaining shows how they have improved their constituency levels only losing the one game and conceding just 19 goals. Last season was a different story. The team were dynamic and powerful going forward and breath-taking at times when playing in Europe, however, in the league they were defensively vulnerable and regularly dropping points thanks to careless and unforgivable defensive frailties. In the summer, the board and Jurgen Klopp acted to try to solve the problems and working tirelessly to make sure his side iron out careless mistakes, and the results are there for all to see. But where have the improvements come From? 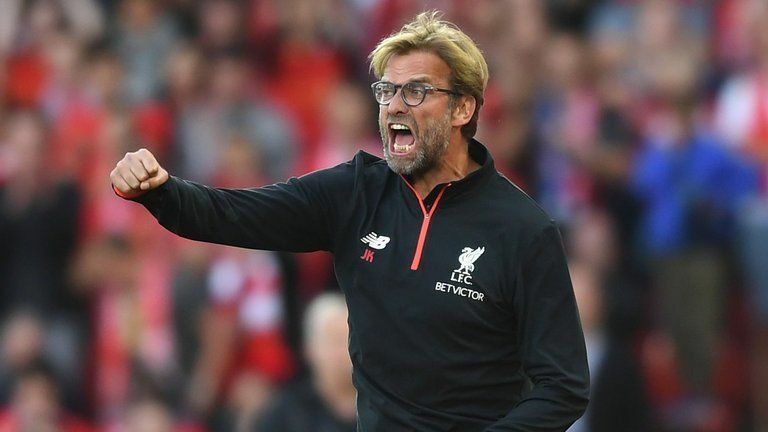 One of Liverpool’s most significant problems in the Premier League last season was against big strong teams who would bypass his sides high-intensity pressing by playing direct through a target man. His side was tactical, inflexible and teams domestically quickly realised you could get at Liverpool in this way. Jose Mourinho’s Manchester United brutally exposed this when they played Liverpool in March 2018. Mourinho set his side out to hit Lukaku, and time and time again Manchester United played direct long balls to their big number 9. This game ended 2-1 Manchester United and underlined if needed that Liverpool could be got at aerially. Fast forward to this season and Liverpool were a different beast when they played United in December. Klopp’s set his Liverpool side out with a much more solid base in midfield and a plan to counter the long ball. Tall and robust defensive midfielder Fabinho, with the occasional help of utility man Keita, gave additional aerial support to the central defenders. This allowed Liverpool to neutralise the aerial long ball and forced Man Utd to try pass through Liverpool, which played to Liverpool’s strength enabling them to use their offensive press. The game ended 3-1 and showed Liverpool fans, if they were in any doubt, that their side has a chance of winning the Premier League this season. Could Summer Recruitment be Part of their Success? A big part of Liverpool’s success this campaign has been the summer recruitment, which has allowed Liverpool to change their shape, all be it subtly. When Liverpool splashed the cash in the summer on Alisson, paying over £65million for a goalkeeper from Roma, many scoffed. However, his addition has been crucial to the improvements we have seen in the Liverpool defence this season. Allison has brought a level of confidence to the defence and added a presence behind the defenders. The central pairing and both wing backs now know they have a man between the sticks who can be relied on but can also take the ball under pressure if needed. His addition has also seen the two big men at the back Virgil Van Dijk and Lovren look rejuvenated. The Dutchman, in particular, has flourished this season and is looking like one of the best defenders, not just in the Premier League, but on the planet. Another two key additions were that of Keita and Fabinho in the summer. These two men have offered Klopp flexibility in his formation. Fabinho anchors the midfield and does the no-nonsense work, allowing the more attacking players to do their job. Keita has added energy, and with his box to box ability, he has become a vital element of the Liverpool high tempo press. This flexibility means that the Liverpool formation is no longer rigid but instead is fluid during games. The team will set up in a 4-2-3-1 formation; however, this can quickly alternate to become 4-3-3, 4-4-1-1 or even a 4-5-1, when there are having to drop back and be a little more defensive. Liverpool personnel last season did not allow for that level of flexibility, and when teams would adapt during games, it would often catch Liverpool cold. This is not the case this season, and the new fluid system has brought out the best in many of the players. The set-up this season has also made it easier to accommodate more attacking threats on the pitch at any one time. It is not unusual for Liverpool to have Firmino, Salah, Mane and Shaqiri all starting. The increase attacking threat is just one element of the new system, the most significant benefit of this the protection it now gives to his often exposed defence of last season. We have also seen new roles for some of the key men of last season. Brazilian flair player Firmino’s role within the side has been slightly altered this season. The Liverpool Number 9 was at times unplayable in 2017/18 season, but in other games, he would fail to make a big enough impact. This season Klopp has moved him back slightly into the Number 10 position and has used Salah more as a main forward, but with the option to alternate and change as required during a game. Again, another subtle change but one that is merits seem to be shown in the results thus far this season. All these tactical changes have made Liverpool more than a one-man team. Last season they relied too heavily on Mo Salah and when he departed in the Champions League final the game was lost for them. This season they now have options and the ability to adapt to injuries and circumstances. This means they are one of the favourites on Stakers who have odds at 2.75 on them to win the Premier League and 5.00 to win the Champions League as well. Only time will tell, but one thing for sure is that the Jurgen Klopp has worked wonders at Liverpool football club and this season is their best chance since that fateful 2013/14 season to win the trophy the Liverpool faithful so desperate covet. Suarez/Sturridge,Aguero/Negredo-Revival of the striking partnership?